2+ "HERO" monsters. This card, also any "HERO" monsters it points to gain 100 ATK for each "HERO" monster with different names in your GY. 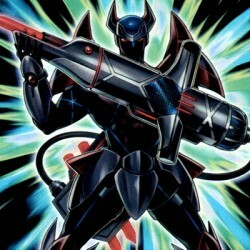 If this card attacks a Defense Position monster, inflict pier.. If this card is Special Summoned by "Clock Tower Prison": Destroy all monsters you control, except face-up "Destiny HERO" monsters, then you can Special Summon up to 2 "Destiny HERO" monsters from you.. If this card is Special Summoned: You can add 1 "Change" Quick-Play Spell Card from your Deck to your hand. If this card is sent to the Graveyard: You can add 1 "HERO" monster from your Deck to your h.. If this card is Normal or Special Summoned: You can add 1 "Polymerization" from your Deck to your hand. During your Main Phase: You can activate this effect; you cannot Special Summon monsters for the.. Put 1 Clock Counter on this card during each of your opponent's Standby Phases. While there are 4 or more Clock Counters on this card, the controller of this card does not receive any Battle Damage. ..
Target 1 "HERO" monster you control; send it to the Graveyard, also, after that, if it left the field by this effect, Special Summon 1 "Masked HERO" monster from your Extra Deck with the same Attribut..